When Should They Start Going To Daycare? So, Are You Both Ready? 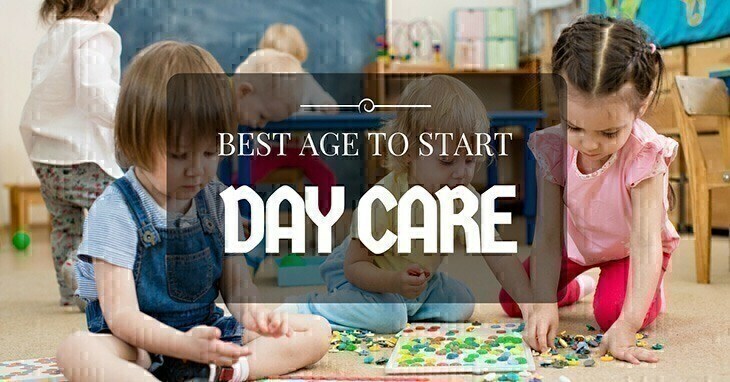 →What’s The Best Age To Start Day Care? There are those who think it’s best to start them early so they can get the best of both worlds – time for socializing with other kids in a different environment and time with mom and dad at home. Others, like me, would prefer testing the waters, but we also don’t want it to be too late since it might affect his development. 1. Your child’s readiness: Before you send them off, remember they are attached to you. The last thing you’d want is for them to feel frightened and overwhelmed. Think about it, they only see you, they depend on you, and they cry out for you. All that will change once they go to daycare: they have schedules to follow (play, eat, nap), and there are strangers everywhere. That would scare them. So try to assess first whether he/she is ready to mingle with others without you around. 2. Your readiness: Are you already willing to let them go? I know moms who are reluctant to leave their kids in the hands of someone else even if that person is a professional. I can’t blame them though because I often feel the same way. Determining if you're ready is important because your baby can sense your hesitation. Think of it this way; you won't see much of each other during the day, but when you pick them up, and you see that happy smile and excitement as they run to you, it’s priceless. There are two sides to every coin, and thus, there are also advantages and disadvantages which can help you make your decision as to when you should send you kid to daycare. Every mom will agree that the number one benefit of daycare is socialization. Getting to mingle with children his age, older, or younger will allow him/her to interact with various age groups. It can also enhance his speech skills when he communicates with others. Because it’s a different environment, the entire experience can also help him reach certain developmental milestones. For this reason, many parents opt to try daycare especially if their child is a bit delayed in some skill sets. Establishing routine is important for kids and they will find that they need to follow schedules. Following such hourly activities, in turn, will propel them to be independent. They don’t have their moms or dads around and will be forced to depend on their own, which is not a bad thing. Another major reason why moms enroll kids in daycare is for them to go back to work which is not uncommon. Many moms end their maternity leave in as early as eight weeks postpartum. And sometimes, no one can look after the kids. There’s no better way to keep their peace of mind than leaving the kids in a registered institution. No matter how many times you promised yourself that you wouldn’t expose your child to too much television, there are days when you don’t have much choice. Because they have various activities, there will be as little TV time as possible or not at all. Technology is not the best way to help kids develop mentally, socially, psychologically and emotionally. So being in daycare, you wouldn’t have to worry about this. A major downside is that kids will constantly move about, play, interact, do certain activities and they might end up more tired than usual when coming home. It’s a lot like going to grade school; they’ll likely end up asleep and too weary to do anything else. It’s inevitable for kids to get sick – stomach flu, influenza, fever. And that’s another thing you should take into consideration; you can’t protect him/her from a contagious disease which they might get in day care. The cost is also a factor. You will have to include the monthly payment in your budget and mind you; some are pretty expensive. Another thing is there will be a lack of control on your part. You wouldn’t know what they’re teaching, what your kid is learning and even how the teachers treat them. Along with socialization comes peer pressure. Whether it’s eating anything you packed for lunch or joining activities they don’t like, pressure will be present and may or may not be beneficial for your children. Be prepared for them to come home bringing more than just good lessons – they might get bad habits from other kids too. Research about the day care. There are several of them, sure, but it won’t hurt to do a little background check. Also, ask around because parents’ feedbacks are important. If you’re curious about your kid’s performance and how the teacher treats him/her, you can drop by unexpectedly and observe. But hey, don’t do this on a daily basis. Inquire about the teacher-student ratio. Teachers are more effective when they have fewer students – they can focus and observe them. 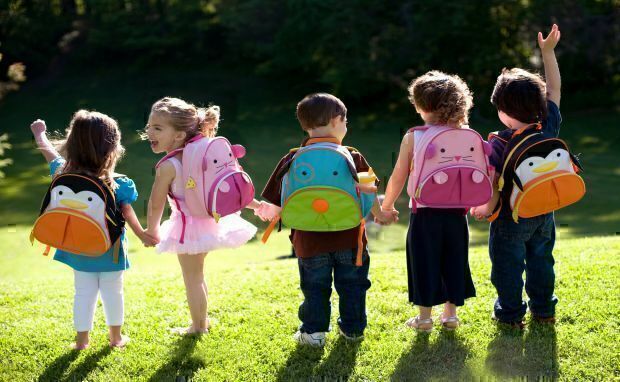 You wouldn’t want a crowded classroom for your little one. As I said earlier, there’s no actual age when your child should start attending daycare. Consider your readiness and whether you think it’s the best thing for your little one. Starting them before they’re even ready might do more harm than good. Remember, attending daycare isn’t just having someone to look after your kid, it’s also to allow them to develop skills and reach milestones with the help of socialization in a controlled environment.